"Hello Norman, ¡¡Great news!! The shipment has arrived "sano y salvo (intact and safe)". 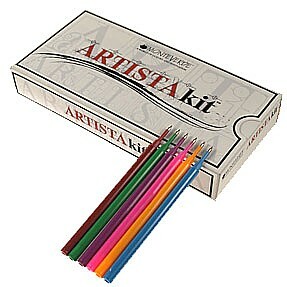 I have checked the Artista pen and it manages to make me very enthusiastic. It has been a great discovery because looks and writes like a more expensive pen. 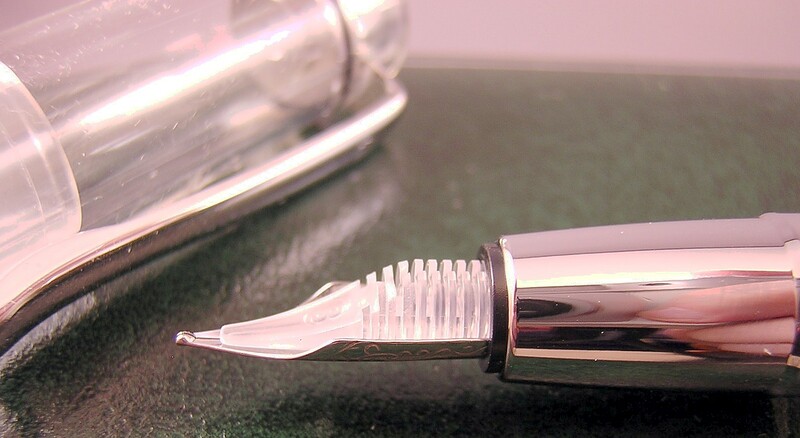 It has a great appearance and is a well- finished product, the chromium-plated parts (front section and cap) and the box give the pen a very good look. I have filled the pen with the green private reserve ink and the result is fantastic. Thank you again for replacing the broken ink bottle free of charge, it has been a great gesture of attention, I admire your professionalism." All hail the return of the demonstrator! Almost from the first days of the fountain pen, one of the most sought-after additions to a collection was the pen salesman's demonstrator pen. 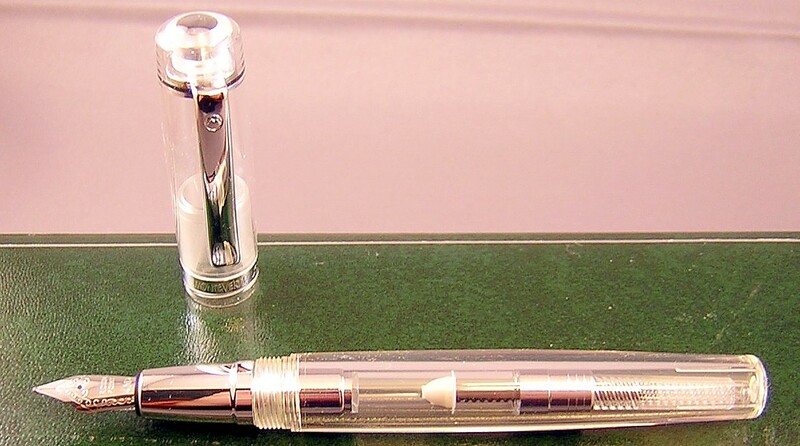 These were typically pens that were partially, or fully transparent...used by a fountain pen salesman to demonstrate the inner workings of the particular pen model that was being sold. Later, pen companies began producing demonstrators -- usually in very small quantities or as limited editions -- especially for the collecting market. Consequently, these were often sold at a premium. Monteverde has produced a terrific new series of pens (rollerballs, ball pens and fineliners are also available) that are produced with a transparent barrel and matching cap, and are made from top-class acrylic resin -- hand-polished inside and out. The pen comes with a medium steel nib, and in a detail that I love, even the feed is transparent! The pen measures 5" capped, and 6" with the cap posted. 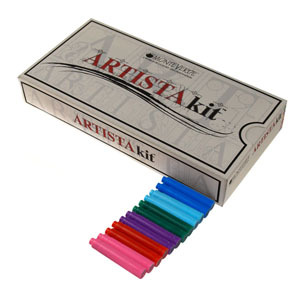 The Artista comes with a piston converter for bottled ink (shown below with the piston turned about halfway), as well as an assortment of colorful ink cartridges (yes, the ink matches the cartridge color!). So, whether filling with your own bottled ink, or by using the cartridges, you get to decide what 'color' your Artista is today. Each pen comes gift boxed, along with 12 ink cartridges packed together in a larger outer box. Hail the return of the demonstrator...at a price that anyone can afford. As with the rest of the collection, the Artista™ rollerball is hand formed from a single bar of special clear acrylic resin. The Artista is then polished from both the inside and outside. Monteverde®'s jewelry grade chromium finish accents set off the crystal clarity of the Artista™ design. 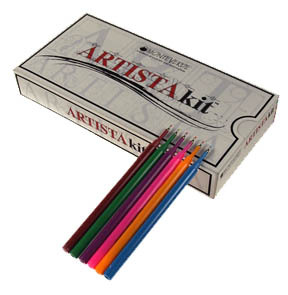 The cap-type Artista™ rollerball pen kit is presented with 6 assorted color rollerball refills for your creative expression. 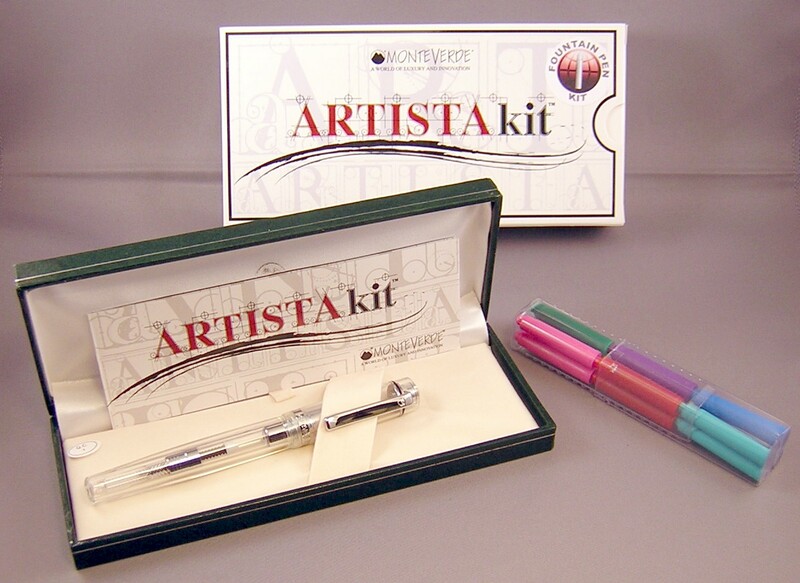 The Monteverde® Artista™ rollerball pen kit also accepts Artista™ fineliner refills. Monteverde® Artista™ fineliner kit is a good alternative to the rollerball. The fiber tip makes it a perfect choice for those who prefer to leave a bolder mark when writing or drawing. It is hand formed from a single bar of special clear acrylic resin. The Artista™ is then polished from both the inside and outside. Monteverde®'s jewelry grade chromium finish accents set off the crystal clarity of the Artista™ design. The kit features the exact brilliant color range as the Artista™ rollerball kit. Best of all, both are totally interchangeable. Includes Fineliner Pen, 6 Fineliner Refills in assorted colors.